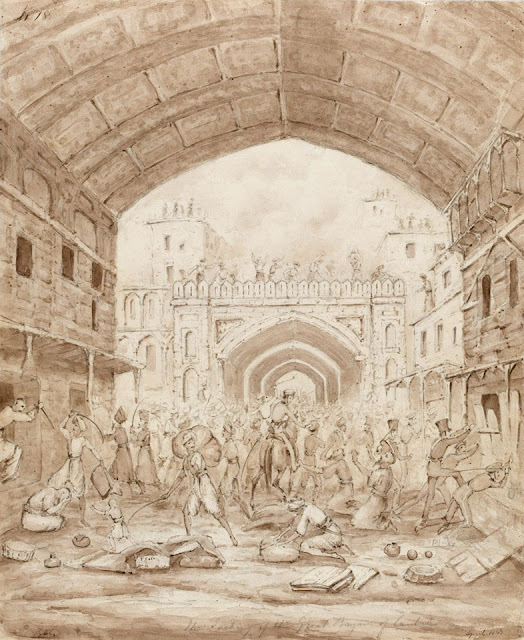 'The Sacking of the Great Bazar of Caubul, 1842' Ink wash over pencil sketch by George Alfred Croly , 1843. 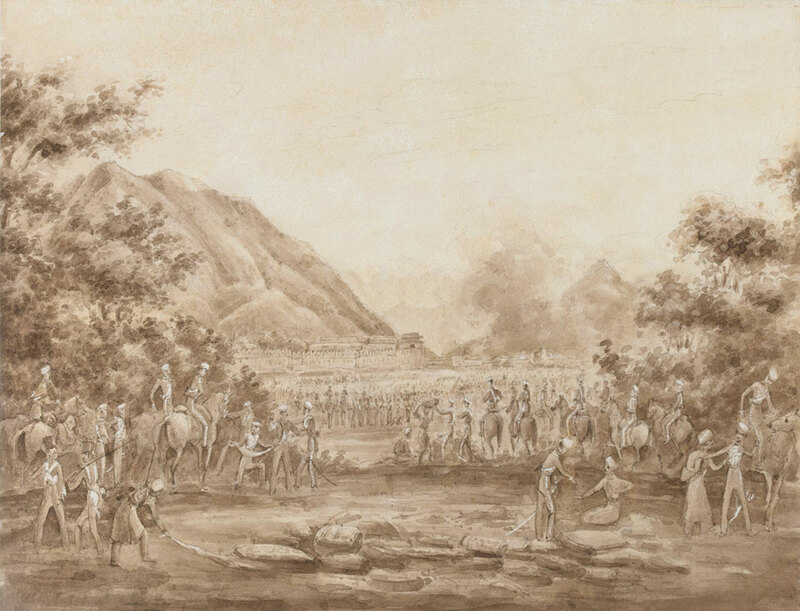 National Army Museum. 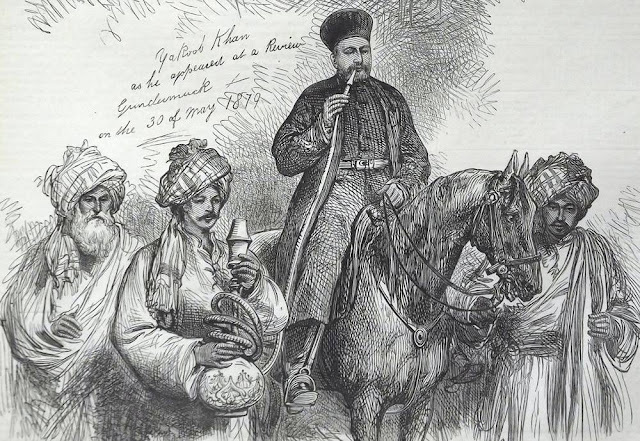 The Char Chatta Bazar of Kabul (built by Ali Mardan Khan who governed Kabul under Shah Jahan in 17th century) was destroyed by British army of vengeance under General Pollack. 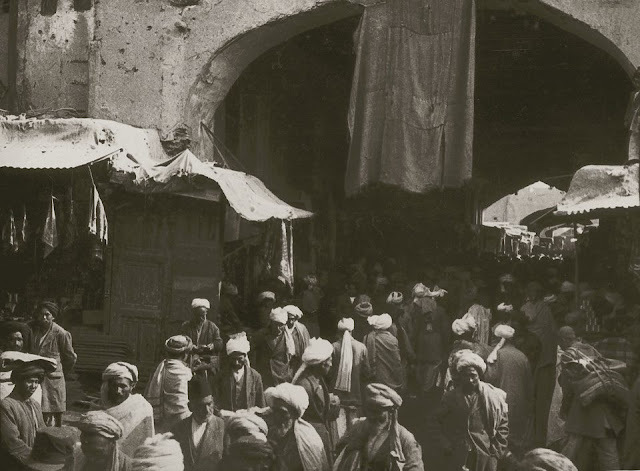 Entrance to the Chahar Chata bazaar, Kabul, c.1937.